Sunday is Mother's Day. 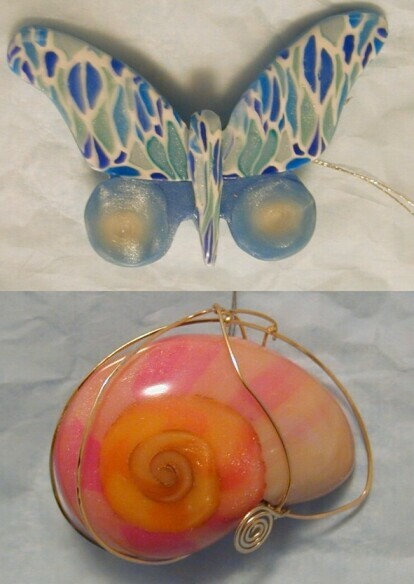 Melissa has made a couple of custom pieces of jewelry for her, a kite and a nautilus shell. They can be seen here. Instead of sending a typical greeting card I decided to do something quaint and old fashioned. I wrote a letter. That's right. Pen and paper. It was a gorgeous day this Wednesday and I ate my lunch down by one of the overflow ponds at Gulfstream where I work, sat under the shade trees watching the turtles poke their heads just slightly above the surface. A sweet blue sky was decorated with the white fluff of clouds carried along by a comforting breeze, birds sang, blooming water lilies graced the edges of the pond, Magnolia trees revealed their opening flowers and I wrote to Mom a three page letter. (See my Photo Album called Lunch at Gulfstream's Pond.) I hoped she might like it better than my usual short note on a dollar card. I am not a parent. After observing my own childhood from a distance, and seeing the ways of children and parents (some/many/most?) I wouldn't want to become one in spite of the rewards of nurturing the development of another tiny creature who will become, you hope, everything you have wanted for yourself. But along the way there are, shall I call them, the obstacles. In the note I didn't dwell on the times I helped forge the parenting skills of my parents by creating those challenges that cry out for comprehension and discernment and painfully seldom is found. Though I had offered my share of challenges I thought I'd recall those other times that proved they safely guided me through the quagmire of childhood, and especially adolescence. The childhood was pretty much a delight, and then came junior high and high school. And the Sixties. The challenges of parenthood are staggering enough without the burden of the Sixties. I was fortunate to be a little too young during most of it to fully appreciate it or be entangled by it. I probably made up for that in the Seventies! Through everything I did and said my parents stuck by me. Through Court Martial and possible prison time, through depression of distance an ocean away while stationed in Germany in the Army, they fretted and were bewildered but they hung in there with me. It is really too bad that youth is wasted on the young. I wish I could have lived those years with the wisdom learned by experiencing them the hard way. It amazes me that they made it almost as much as that I made it through. The things kids do to their parents . . . and without even trying! But there were, as I said before I got distracted, some great times, times the family had fun on a vacation in Lake Huron at Tawas City, Michigan, or at Belleville Lake where the Detroit Edison Company had an employee park, trips to the zoo, the 4th of July fireworks in Detroit, Bob-Lo Island's amusement park, drives in the country, Sunday dinners with grandparents; there are really too many to mention, but not too many to recall. I thank my mother and father for bringing me safely through some treacherous times and making so many more a joy to remember. I am sure I wouldn't have been able to parent any better than they. Especially when you consider they dealt with eight of us kids! Where do they hand out the Parent medals for surviving that!